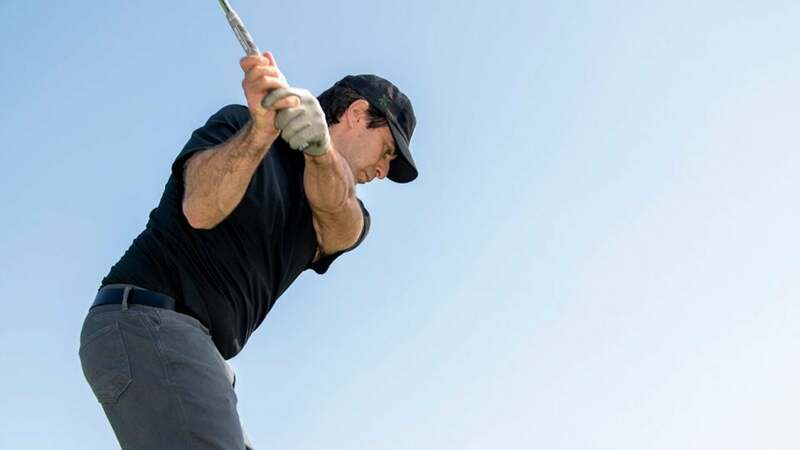 Alan Shipnuck takes some iron swings at a driving range. The moment of clarity came, strangely, after a few beers at TopGolf. This was in early 2018, after I had been using a set of Edel Golf single-length irons for a few months. I'd fallen hard for the concept, thanks to some of the best long-iron shots of my life, but I still wasn't sure how long the experiment would last. Then at TopGolf I took on a friend in one of those games in which you hit a handful of balls at four different targets. Using a conventional set of clubs, I worked my way through a sand wedge, 9-iron and 7-iron, slightly put off by the changing dimensions of each stick. Then I grabbed the 5-iron and couldn't believe how foreign it felt. Standing over the first ball, I knew I was going to hit a crappy shot, and I did. I'd never longed for a golf club more than I pined for my single-lengths at that moment. A year into the romance with these clubs, I'm approaching a Brysonian level of ardor. But it was based mostly on emotion, which is to say, feeling less dread when I pull out a 5-iron. But I wanted to quantify the difference that single-length clubs can make for an average golfer like me (a shaky 7.9 index), so I journeyed to True Spec in Carlsbad, Calif., to gather some data. I brought along my last set of traditional clubs, PXG 0311s, and my current gamers, Cobra King Forged Tec One Length. (The Edels are beautiful but, as with any long-term relationship, I needed more forgiveness.) I gave myself five swings with a few different clubs. True Spec's Steven Ziff warned me of the challenge of hitting old- and new-school irons in the same session, but Trackman confirmed the single-length's superiority. With my traditional 4-iron I hit a couple of beauties and a couple of duds, averaging out to a carry of 177 yards, way below what I would have expected. The strikes with my one-length 4-iron were much more solid and consistent, and the numbers showed that: The launch angle was higher, the carry distances averaged 192 yards and the dispersion was significantly tighter. The 7-irons were pretty much a toss-up, as might be predicted, but the sand-wedge data was revealing. Getting used to the length of the wedges is the biggest adjustment for any golfer transitioning to a single-length set. I fought it for a while, keeping my standard sand wedge in the bag as a crutch. But I've never been a great full-swing wedge player, with my miss being the dreaded thin shot, perhaps because the club was so dang short. As I've come to embrace the single-length wedges, I've found I have better rhythm and better contact. During the testing—in a pretty strong wind off the right, which magnified miss-hits—my old sand wedge flew between 86.5 and 104 yards, quite a spread on such a short shot. My single-length sandy was much more consistent, carrying between 91 and 101 yards, exactly what I would want. The peak was higher and the shots had slightly more spin, too. This was admittedly a very small sample size, but that was the whole point—you can make or break a round of golf with only a couple of swings. Trackman validated what I already knew: It's a maddening game, but slightly less so with single-length sticks.